Design-thinking is a mindset that centers business decisions around real customers. By designing to their needs and expectations, you can deliver an exceptional experience and adapt to a changing audience. This is definitely a big shift. It can disrupt the status quo for your company, and challenge your team to work together in new ways. But design-thinking empowers your team deliver amazing out-of-the-box solutions for your customers. You can refocus your resources into where they matter most for customers (and have the highest ROI for you). Instead of accepting that this is as good as your service is going to get, design-thinking encourages continuous improvement and adaptation. With a couple of strategic design tweaks to your customer experience, you can radically transform how customers engage with your company and get more lifetime value out of your base. Here’s how. Your customer’s point of view is the foundation of design thinking: you want to design to them, instead of at them. What do your customers actually want? How do they feel about working with your company? Where are you missing opportunities to close more sales? Talk to your customers and gather feedback—learn what factors influence their purchase decision, why they decided to go with you and not a competitor, or if they have any complaints. 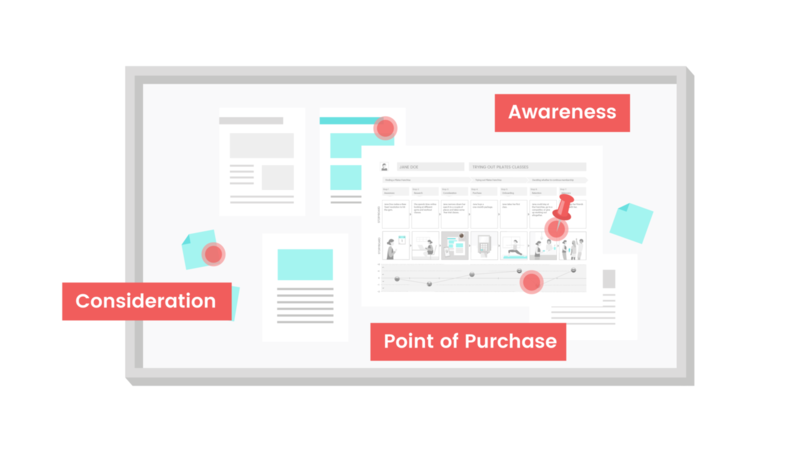 A customer journey map looks at key touchpoints—moments where your customer interacts with your company. Emerging technologies are constantly creating new ways to connect with customers, from social media to integrated apps. This explosion of touchpoints creates a ton of opportunity, but also crowds the field. Journey mapping helps you focus on touchpoints that actually matter to your customers. It shows gaps where customers’ needs aren’t being met, and gives you an actionable framework to bridge them. Affinity maps are another creative way to turn all this user feedback into customer insight. By grouping similar comments and looking for patterns, you can identify the big issues that you need to address first..
2. Make what you offer clear. Especially for innovative startups and cutting-edge tech companies, your products or services might be totally new to your potential customers. Creative work makes it easier for customers to “get” your unique value. With graphics and video, customers can visualize what your service can do and see where they fit into the picture. Stakes are especially high for investors that might not be familiar with your company’s specific expertise. 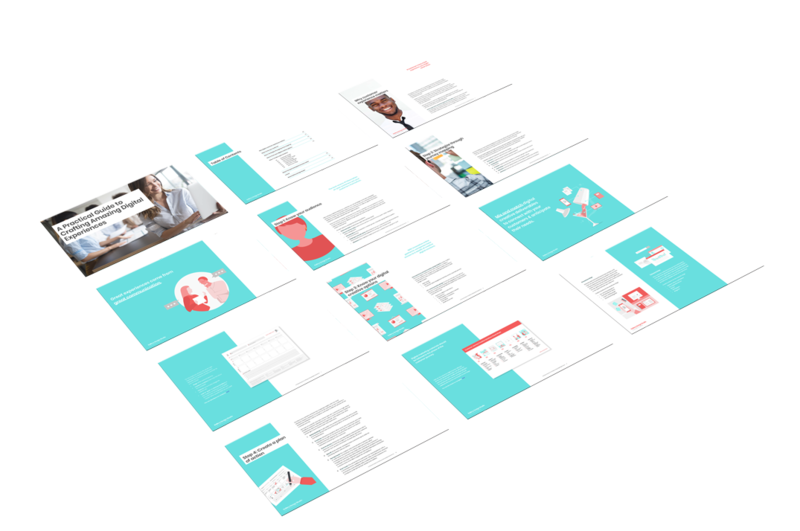 Break it down with an engaging pitch deck that clearly lays out your services and business model. Digital technology is your friend. Gartner estimates that by 2020, 85 percent of customer interactions will be automated. Make your website easy to explore: think about “need-to-know” information and make sure customers can find it easily from the homepage. Add a chatbot to your website to cover basic FAQs. Customers want to feel heard and seen, and even a little reward goes a long way. After they make a purchase, thank them with a personalized email, phone call, or thank-you note. Leave them feeling good and confident that they made the right choice. Don’t just thank them once. Reward your customer base for their continued loyalty throughout your relationship with exclusive offers, discounts, and extras. Our work isn’t done as soon as you close a sale. When a new customer first starts out with your company, teach them how to get the most out of your service. An great on-boarding process can boost customer retention and lifetime value. With a strong kickoff to your relationship, you can reassure customers that you made the right choice. Avoid potential confusion down the road by setting expectations and offering clear how-tos. When customers talk to your company, they see you as One Brand—even though behind the scenes, you might split work between different disciplines, departments, and individuals. Look for ways to easily (but securely) share necessary information within your company, so customers don’t have to give the same spiel every time they talk with a new member of the team. Examine the handoff points between different units or departments for hitches in the customer experience. 6. Customer experience begins at home. For a truly consistent customer-centric business, you need to get all your employees onboard. Your internal teams might have totally different perspectives on your customers—customer service reps see one angle, for example, while sales reps might see another. Look for ways to share ideas and customer insights across teams, instead of siloing them off. Review handoffs to make sure no customer touchpoints are falling through the cracks. To transition to a new customer-centric business model, make sure you give your team the tools and resources to understand how to live out your mission. Create an internal database with clear explanations as you switch to a new way of doing business.